I'm on a Shirley Temple kick. 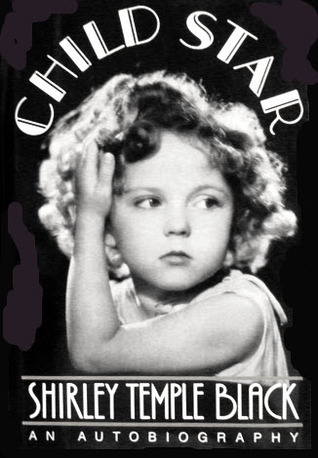 I just finished reading her autobiography, Child Star. According to her website, another book is due soon. One of my favorite movies when I was little was The Little Princess. Somebody forgot to renew the copyright on that one, so it slipped into public domain. It was a staple of Nickelodeon and late night movie shows throughout the 1980s. The library and cable TV have allowed me to see most of Shirley's girlhood classics, and I was able to watch 1940's The Blue Bird via the good ol' internet. Someone told me recently that they were sick of seeing the commercials for the Shirley Temple Sweetheart Collection DVDs. Tee-hee. I no longer have cable, but that's a commercial I wouldn't mind too much! I definitely covet the product! We have been checking some of the Shirley Temple Storybook Collection DVDs out from the library. These are episodes of Shirley's TV show, which ran from 1959-1961. The production values are sweetly primitive, but the stories covered are wonderful! We've had this book on loan from the library for a while now. (You can see a hint of it here.) It was a companion storybook to the television series, published in 1958. I love this book! It features a mix of fairy and folk tales, with different illustrators for every story. I wanted to share a few of my favorite pictures. "Beauty and the Beast," illustrated by Paul Bacon. "The Nightingale," illustrated by Jeanyee Wong. "The Sleeping Beauty," illustrated by Grace Clarke. "The Legend of Sleepy Hollow," illustrated by Arthur Rackham. "Rapunzel," illustrated by Lowell Hess. "The Emperor's New Clothes," illustrated by John Alcorn. "Rumpelstiltskin," illustrated by Louis Glanzman. Are you KIDDING ME with this book? Amazing!!!! I started exposing the kiddos to old black and white stuff early. The 6-year-old is my old movie buddy. She used to like to check Bright Eyes out from the library. That's the movie where she sings "On the Good Ship Lollipop." It isn't very long, and the tale of a little orphan girl treated poorly by the family she's stuck with, while they spoil their own little Jane Withers rotten, holds a kid's attention. Both girls like The Little Princess. I showed them The Blue Bird, but it's a little weird and dark. Oh MAN I remember this book! My mom owned it when I was a kid and I used to read her copy of it all the time. I think my favorite story in there was The Magic Fishbone. I also liked the one about the prince (?) who rode in a magic blanket/cloak/something like that because he couldn't walk. I want to get another copy for myself but last time I checked Amazon they either didn't have any or they were like super expensive.